This is one of my favourite recipes, my Mother made 24 of these most Fridays and they were all gone by Monday! On her 90th Birthday we had a party with a buffet, games and music, and then supper. My husband and I made 94 of these for the supper and although there were only about 60 people there, they all went! They are not difficult to make but do take some time although you can speed things up by using ready-made pastry. Make the pastry and roll out quite thinly and cut into 24 3 inch rounds. 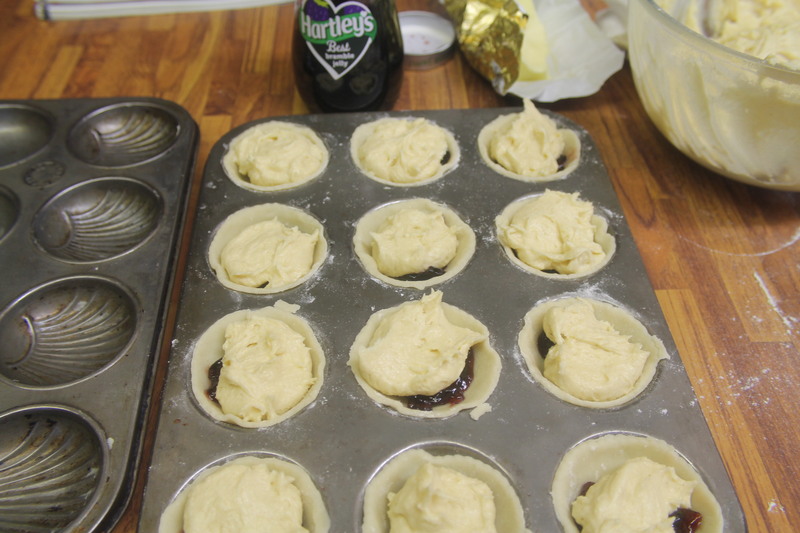 Line the patty tins with the pastry and place a small teaspoon of jam in the base. Cream the butter and sugar together until light and fluffy then add the eggs and combine together. Fold in the flour in a figure of eight movement then put a teaspoon of this mixture into each case. Do not put too much mixture in otherwise it spills over as in the photo. Bake for 20 mins until golden brown. Allow to cool slightly and then transfer to a wire rack to cool. They will keep in an airtight tin for about a week or so but I cannot be accurate as mine disappear very quickly!! 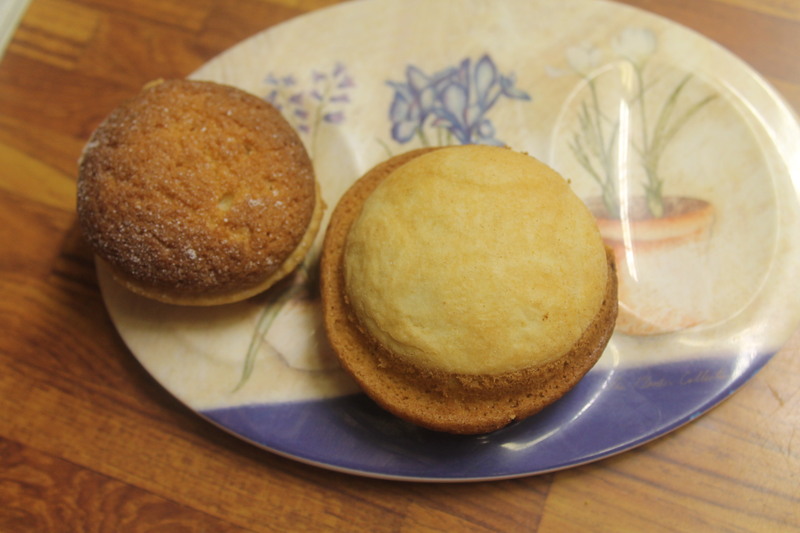 Make small buns with any left over cake mixture and reward yourself with a nice cup of tea.